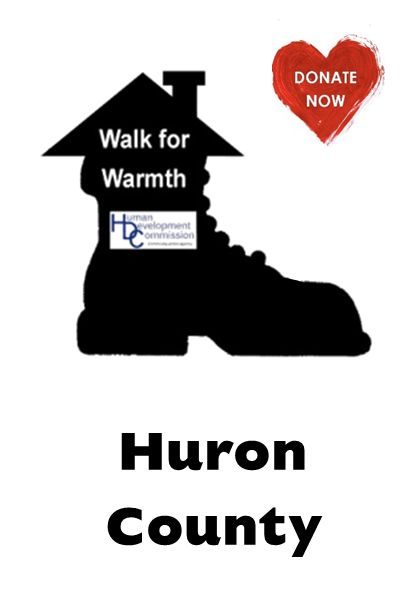 The Human Development Commission, your Community Action Agency located in the Thumb of Michigan, serves the residents of Huron, Lapeer, Sanilac, and Tuscola Counties. We operate more than 50 programs to meet the needs of people in our communities, especially those struggling financially or needing assistance to become/remain self-sufficient. 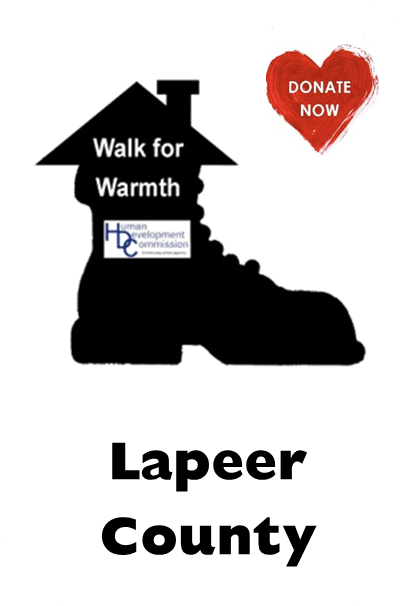 It is part of a statewide event sponsored by Community Action Agencies for the purpose of raising funds for individuals and families in desperate need of assistance with heat and utility emergencies. It is a voluntary effort on the part of area citizens who gather pledges and Walk a predetermined one-mile route. Many of the people served are struggling on fixed incomes and/or are ineligible for other types of assistance. In the past, HDC’s Walk for Warmth efforts have assisted seniors, handicapped, and the working poor. Hours: Monday, Tuesday, and Wednesday 7:30 a.m. - 5:30 p.m. and Thursday 7:30 a.m. - 5:00 p.m.